Jonathan Alder’s varsity baseball team took a 17-0 victory over London on April 15 in London. The win advanced the Pioneers’ season record to 9-2; they are 5-2 in league play. The Red Raiders’ season record now stands at 4-8; they are 4-4 in league play. 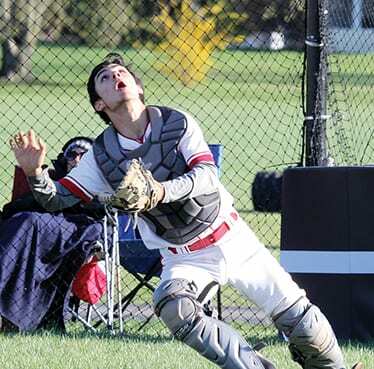 London senior Cameron Greenhill watches in a pop fly. 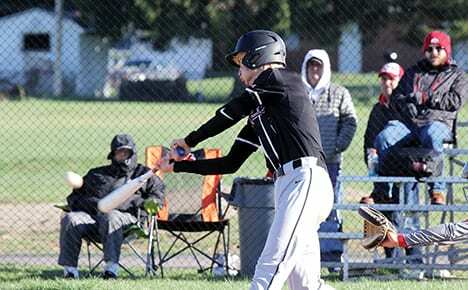 Jonathan Alder senior Nate Smith connects for a single to move the base runners around. 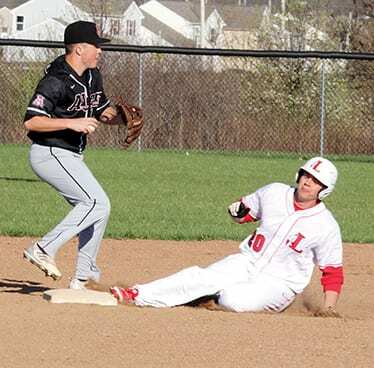 London’s Jacob Fox makes the stop and the out at second base. 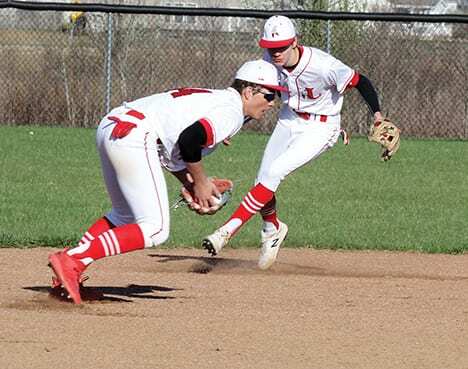 Jonathan Alder junior Jacob Fenik makes the out at second on London senior Nick Schooley and looks to make the throw to first. 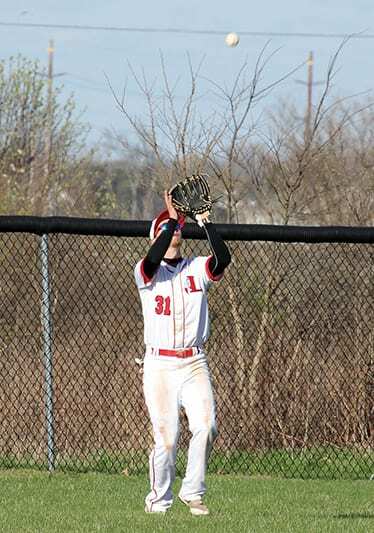 London catcher Drew Herman, a junior, tracks down a pop up. 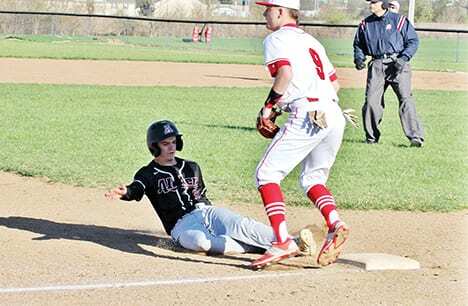 Jonathan Alder senior Zayvier Beachy slides into third base.